After what could be considered years of misuse by others, Jim Starlin cleverly re-calibrated Thanos, his creation after all, in Infinity Abyss. 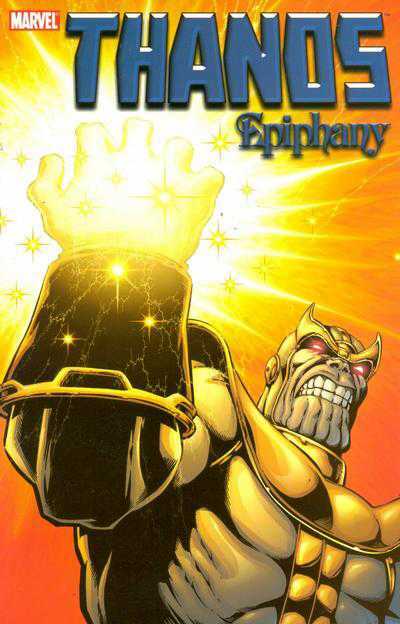 From there he progressed to Epiphany, which begins with Thanos at rather a loose end. 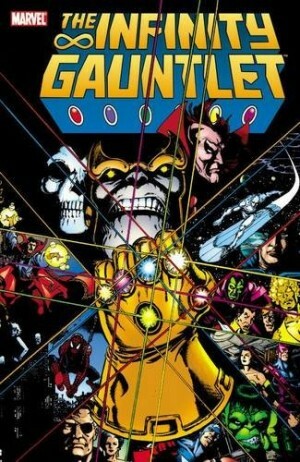 The reason he’s proved so fascinating over the years, when written with some thought, is that Thanos is a merciless, calculating and enormously powerful murderer, but one driven by a spiritual imperative to kill. 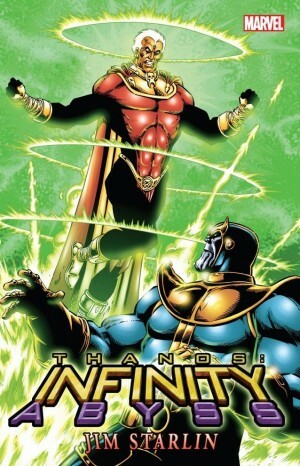 Having, in effect, become master of the universe and found the position wanting, Thanos is re-evaluating his priorities, using Adam Warlock as a sounding board, and comes to a surprising conclusion. Starlin drawing his comics again is very welcome. There’s an occasional awkwardness to his figures, but that’s a minor price to pay for access to his imagination. Most of the opening chapter is illustrated across spreads, and these are spectacular vistas conceived on a grand scale. 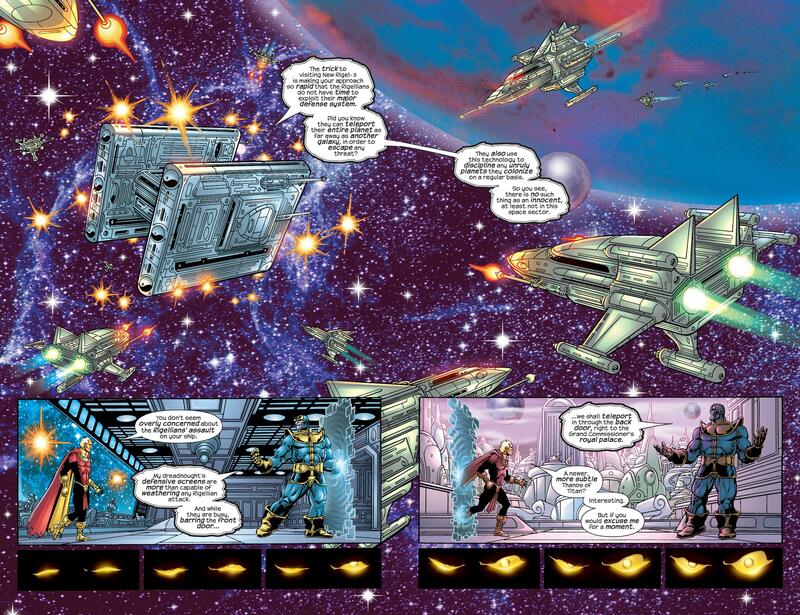 Starlin embraced digital opportunity, not only for the work it must save in creating his always impressive star-studded backgrounds, but also for the new ways of impressing it affords. 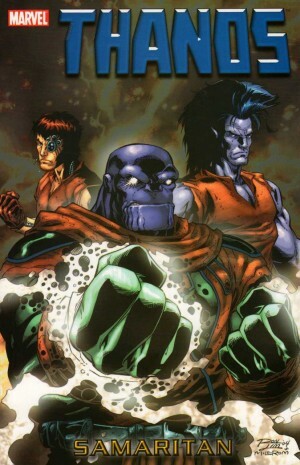 His Thanos carries an imposing weight and bulk, notable against humans, but even more intimidating when set against the smaller Rigellian population. Starlin assembles a cast of his regular players, and each of the opening four chapters delves into the background and/or history of one of them, including the viable new and terrifying cosmic threat he introduces. This is a gradual process beginning in what appears an artistic eccentricity, and its not until the fourth chapter that this character fully flourishes. Very early in his career Starlin introduced characters that could be considered bi-polar or depressive, and he takes an interesting step in applying these characteristics to another Marvel heavy-hitter, although this was without long-term effect. 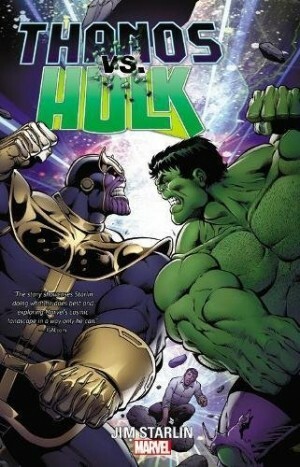 Comics have come a long way since Starlin first pitted Thanos and Warlock against each other in the 1970s, and his relationship with the characters since then has been in sporadic bursts. Some have been less successful than others, but most of his 21st century work has been good, and the progress of what graphic novels can achieve hasn’t diminished Starlin’s material when on form. He returns to the same themes and enjoys using a relatively small cast, but succeeds in presenting something new with them, and Epiphany counts among that. It’s also rather awkwardly collected with the following Samaritan, in which Starlin played no part, as Redemption.